Last week, going off a recent book by William Fischel, we published a parable that explained the evolution of American zoning over the 20th century, from non-zoning land use in the early years to the introduction of true zoning in the 1910s and 20s, and the “land use revolution” of the 1970s that helped create the current crisis of high housing prices. Then we dove in more detail in Fischel’s theories about why that land use revolution happened in the 1970s—and what its impacts were on the country. Today, we’ll look at his proposed solutions to what he sees as the problems created by zoning: the exclusion of residents based on class and race, both at the level of the neighborhood or suburb and, increasingly, at the level of the metropolitan area; and excessively low-density development that encourages environmentally and economically costly sprawl. One of the things that makes housing a more attractive investment than, say, stocks, is that the federal government subsidizes the purchase of housing through policies like the mortgage interest tax deduction. In fact, this is a key part of Fischel’s argument about why zoning became more severely restrictive in the 1970s: in an era of relatively high inflation, tax exemption becomes even more attractive because the nominal gains from any given investment are larger. First, allow the deduction only for one principal residence. After all, if the reason for subsidizing homeownership is that we believe owning a home makes people and society better off, then subsidizing second and third homes doesn’t really make sense to begin with. Second, cap the amount of subsidy per household. 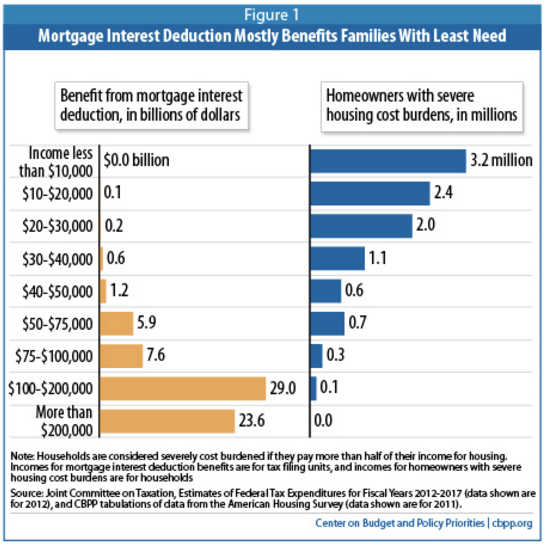 At the moment, the mortgage interest tax deduction pays the vast majority of its subsidies to high-income owners of extremely expensive homes. Again, if the goal is simply to promote homeownership, it seems unnecessary to give very large subsidies to already high-income households. In addition to reforming the mortgage interest tax deduction, Fischel proposes restoring the capital gains tax for housing. This would also make housing a much less attractive investment, and reduce the incentive for homeowners to lobby for regulations that increased their home’s value, since they would now have to pay a tax on any increase in that value. Moreover, it seems unlikely that even existing homeowners affected by these changes would be more amenable to threats to their property value. The heart of the problem is that housing is an undiversified, unhedged investment—homeowners have put all their eggs in one basket, so to speak, and so are reasonably very, very cautious about anything that might affect its value. The real lever here, to the extent there is one, might be that prospective homebuyers would stay in the rental sector longer, reducing the size of the “homevoter” coalition. By contrast, ending the exemption for housing in capital gains taxes would affect the entire coalition, dampening the demand for housing, and interest in it as a financial investment, across the board. That seems much more promising. But there are still big problems. First is an issue that Fischel himself identifies: increasing zoning regulations seem to work as a one-way ratchet. In fact, that’s part of the point: if the goal is to give homeowners assurance that their property values will be protected, then the laws that do the protecting need to be hard to undo. But it’s also an empirical observation: the end of high inflation after the 1970s does not seem to have undone the more extreme zoning restrictions created in that period. In the same way, Fischel notes that during the housing bubble of the mid-2000s, there was a sudden rise in “neighborhood conservation districts,” which imposed even more development restrictions on the communities where they were adopted. After the housing crash, the number of new conservation districts plummeted—but there was very little evidence that those that had already been established were discontinued. So even if these measures are successful in ending the demand for increasingly strict zoning laws, it seems far from obvious that they would clear the way for reducing the stringency of existing laws—which, as we’ve established, are already strong enough to have serious effects in raising housing prices and promoting segregation and sprawl. Moreover, as we alluded to before, the idea that people demand strict zoning primarily for financial reasons is not undisputed. As Sonia Hirt argues in Zoned in the USA, it may be that Americans are culturally invested in the ideal of low-rise, single-family housing. And it does seem to be true that many people who oppose higher-density homes argue based on cultural values—even if the stories they tell about the virtues of single family homes are demonstrably untrue. Moreover, maintaining “community character” clearly often has a social status element that racial and economic diversity directly attacks. That issue would be left untouched by Fischel’s recommendations. Fischel also has some institutional changes that are less about changing political incentives than limiting their power—for example, removing the double-veto system in which both local and regional government bodies have the ability to block development independently. But in many cases, single veto points at the local level seem more than sufficient to create problematic growth controls. Zoning Rules! 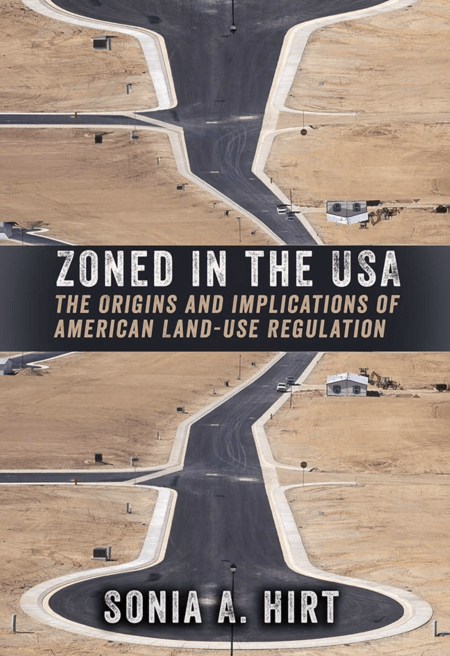 is not only one of the most comprehensive explanations of how zoning works in American cities today, but also of why it is so widespread in its modern form. But partly because it is so convincing in its description of the political justifications for zoning, it makes the task of designing realistic but meaningful reforms daunting. We may still be waiting for the book that offers them.